The hunger for sodium has been used as a model system in which to study how the brain produces motivated behaviour. 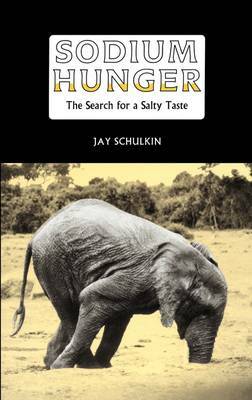 In this account of the field Jay Schulkin draws together information across a range of disciplines and topics, ranging from the ecology of salt ingestion to the sodium molecule and the action of various hormones. The phenomenon of sodium hunger was discovered by Curt Richter, the great American psychobiologist, over 50 years ago. Its study has been of interest for some time: to naturalists, psychologists, endocrinologists, physiologists and neuroscientists. This book offers a systematic account of the behaviour of the sodium hungry animal, the endocrine and physiological mechanisms that act to maintain sodium balance and then act on the brain to promote the search for and the ingestion of salt. Finally, the book provides a description of a neural network that orchestrates the behaviour of salt seeking and salt ingestion. Graduate students and research workers in psychology, physiology and neuroscience will find valuable information in this review.